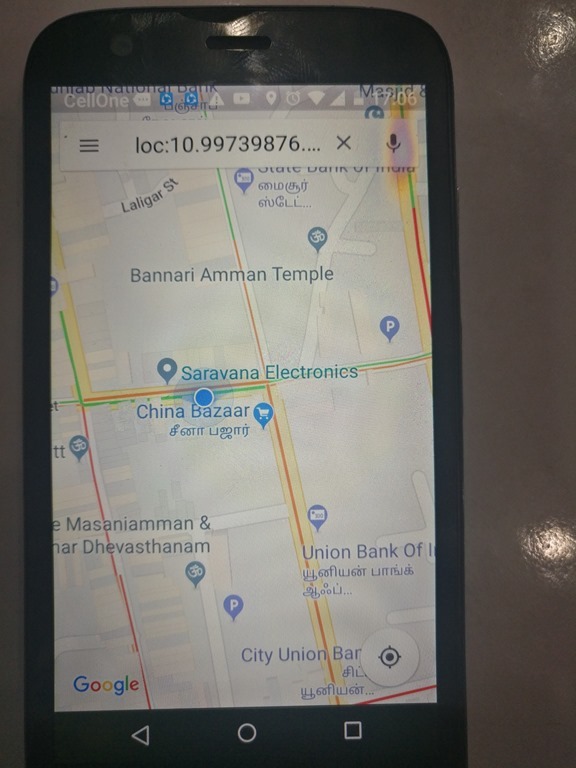 In this post let us explore the GPS Module built on UBLOX Neo series & then parse the data to send SMS with google maps link. 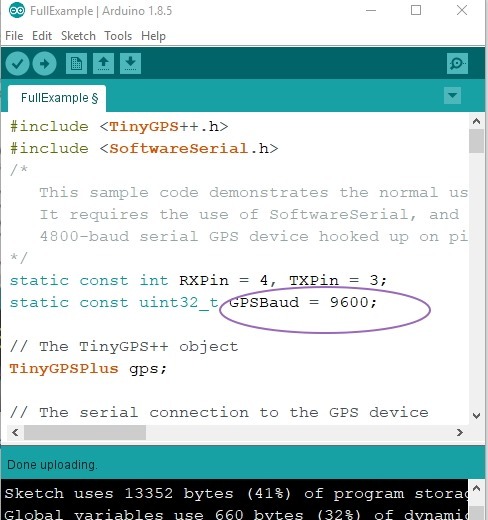 Arduino UNO is used to control the GPS module. 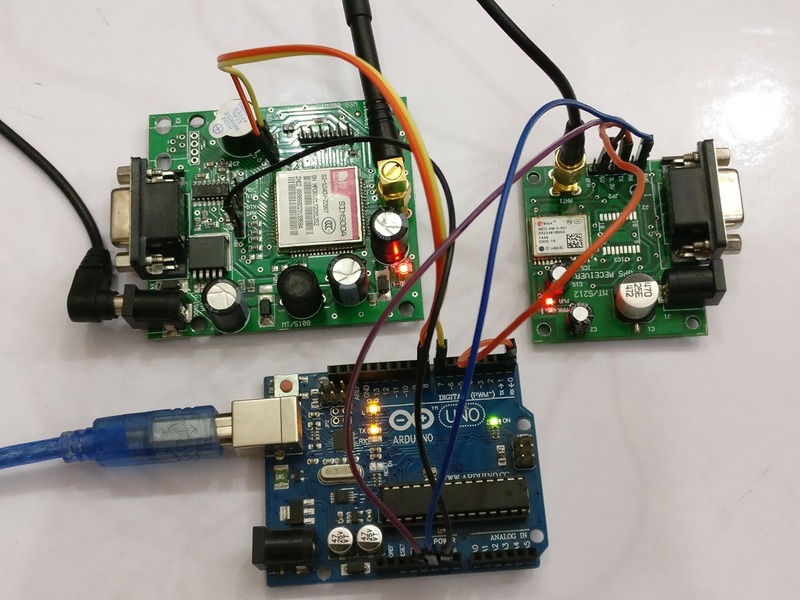 The GPS module used here has provision for connecting an external magnetic patch antenna.This enable the GPS to get FIX within seconds even while testing indoor. To test the GPS we need an USB to TTL module.Or we can use our Arduino itself with a small hack. 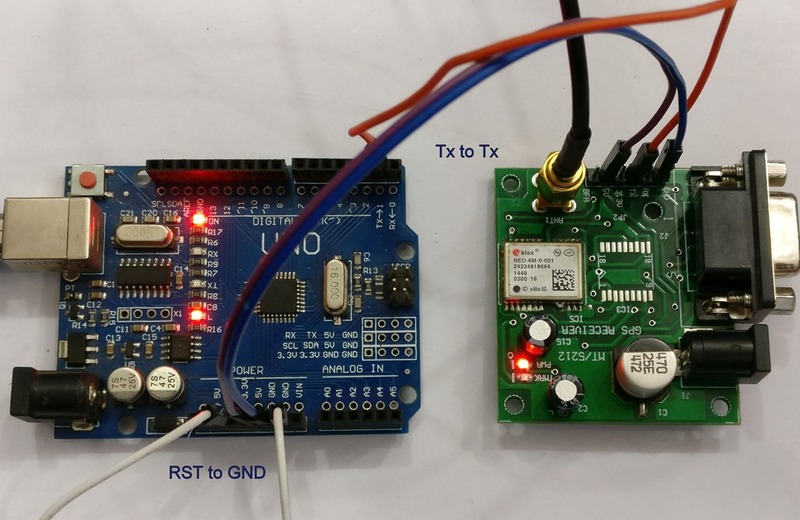 Connect the RST pin of Arduino to GND.This will bypass the bootloader of Arduino & we can use the serial IC of Arduino to communicate with GPS. 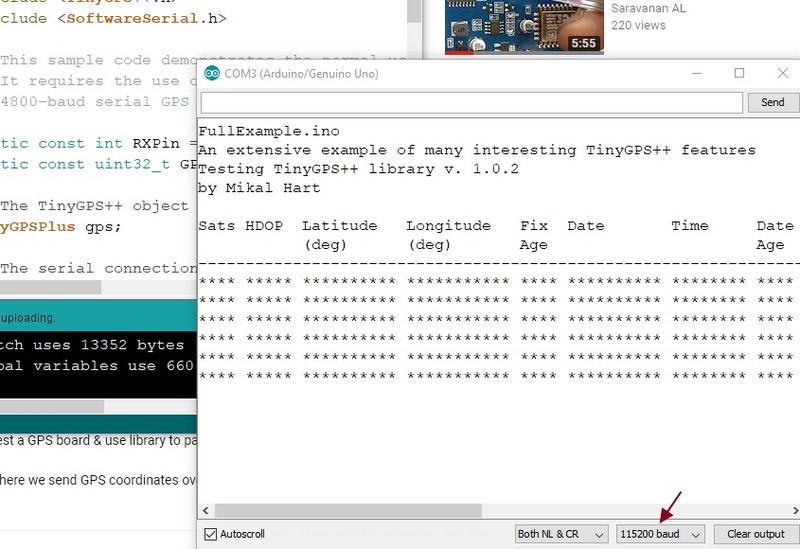 Connect Tx of GPS to TX of Arduino & Gnd toGnd. 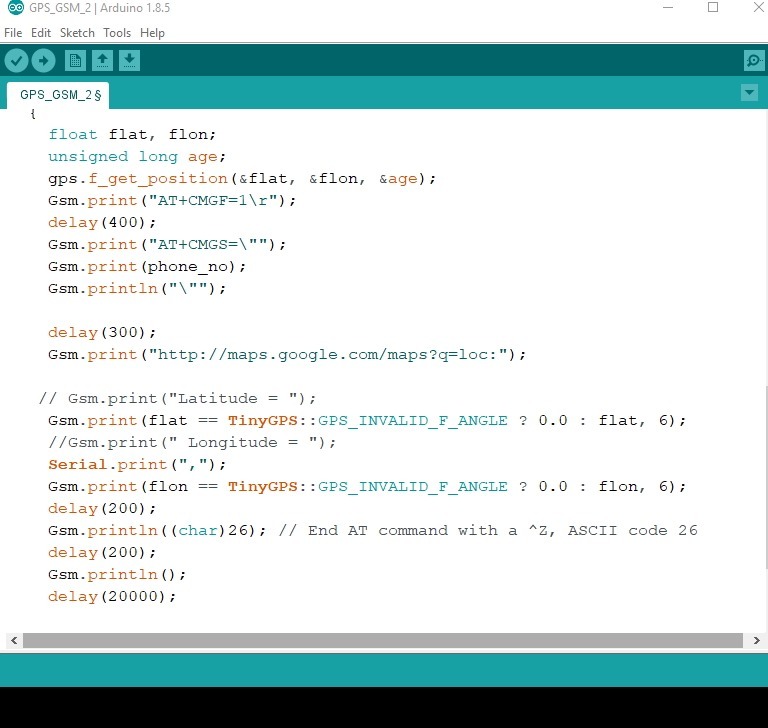 Note that the connection is STRAIGHT here & not reverse .Remember this connection will be reverse while we actually upload code to Arduino & use it in regular mode. 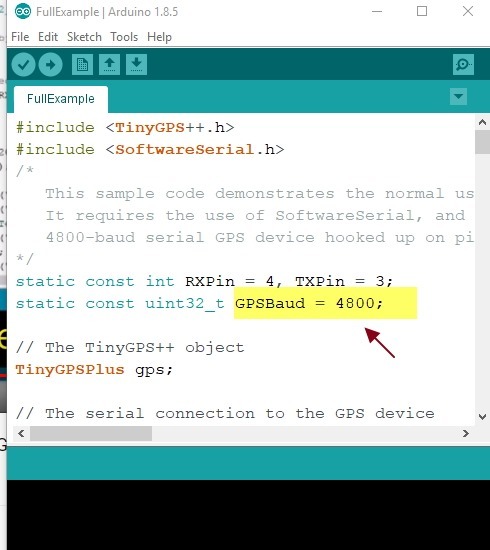 We can power the GPS module from Arduino itself. 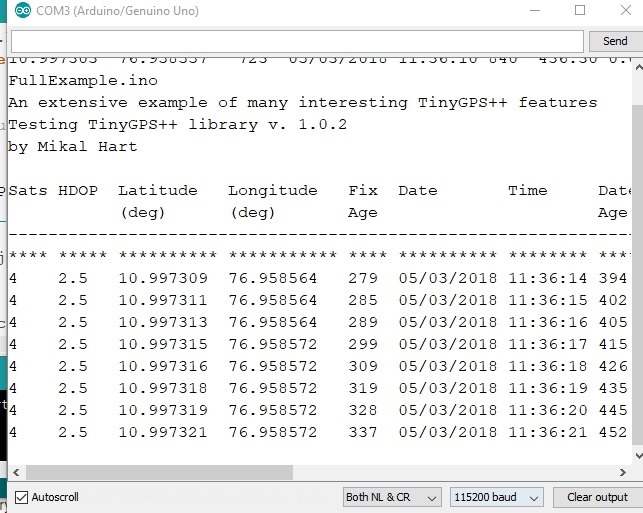 Connect 5v of Arduino to 5v of GPS. Wait for some time for the GPS to get FIX. Once a FIX is received a green LED flashes on the GPS board indicating that GPS is ready with data flow. 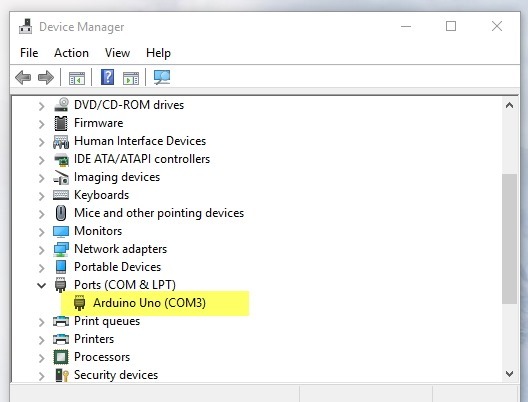 Connect the USB of Arduinot o PC & open the DEVICE MANAGER to note the COM port allotted. 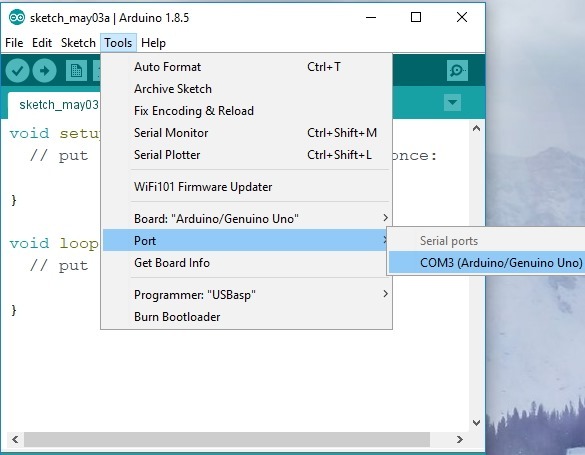 Open the Arduino IDE & select the PORT allotted. Copy & paste a GPRMC sentence in this site to decode the contents. 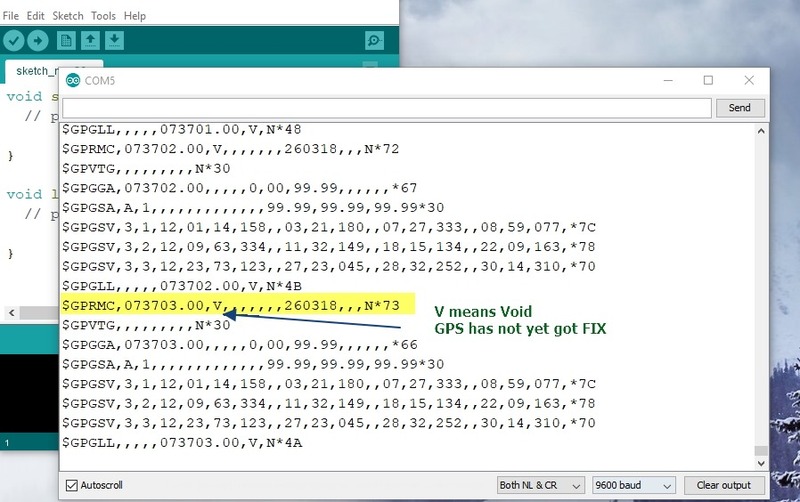 If you notice a V in GPRMC sentence ,it means GPS has not yet got a FIX. Relocate the antenna & wait for some time to receive a FIX & V changes to A . 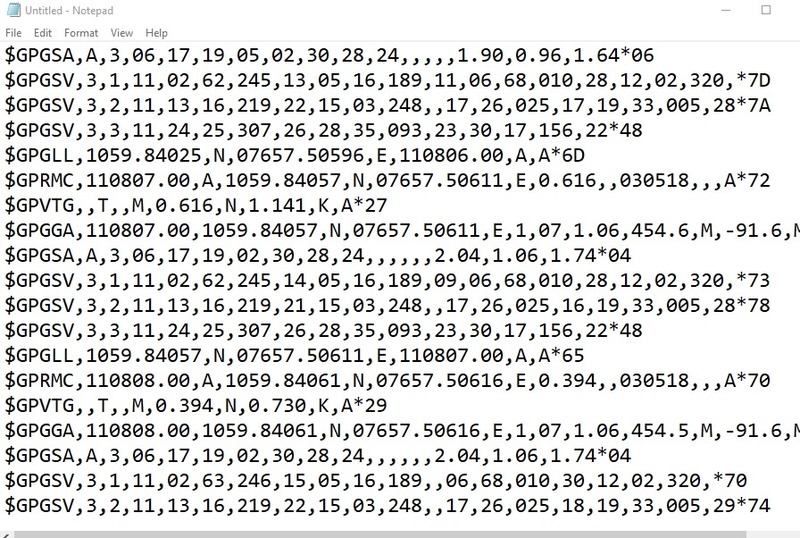 Now the RMC sentence has all the data latitude,longitude,time,speed,altitude,etc.. 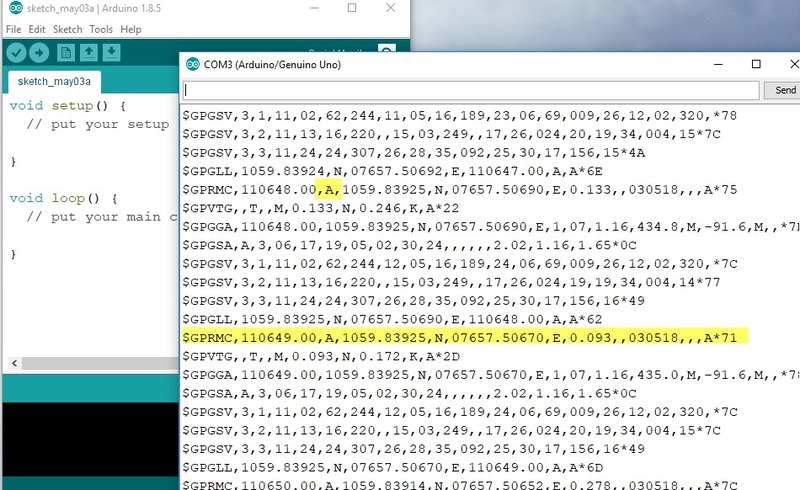 Copy a portion of the data flow & paste it on to a Notepad. Save it as text file with a name. Click on Choose file & select the notepad file saved. 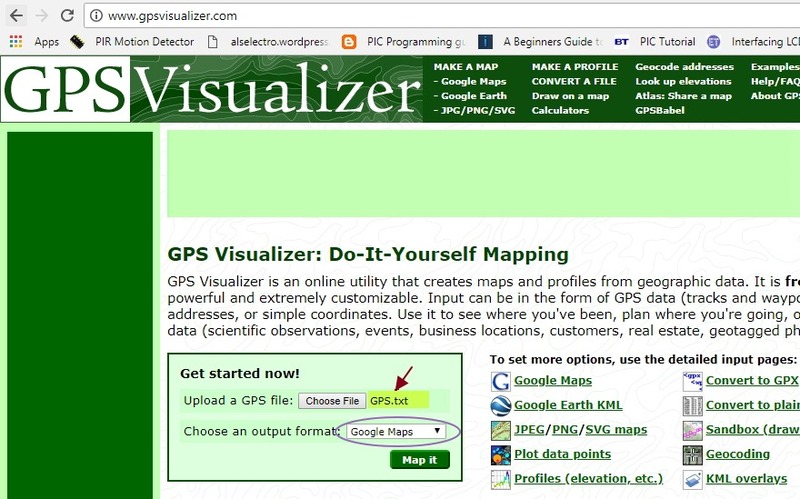 Select the Output Format as GOOGLE MAPS & click MAPIT. You can see the location on Map. 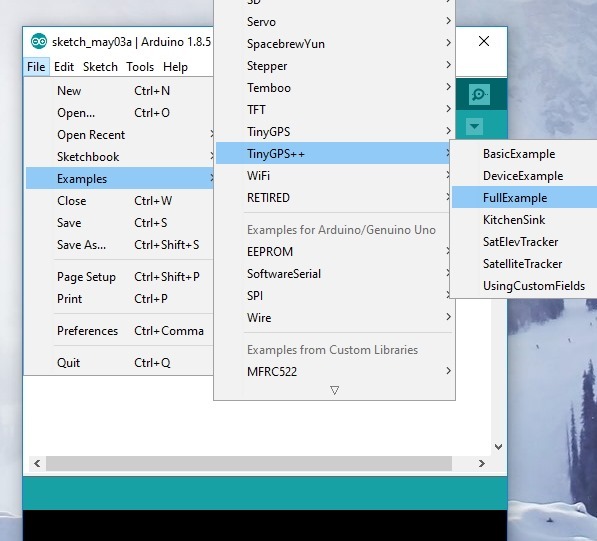 Now your GPS is working.Let us go for a practical demo with Arduino. To parse the data there are libraries that make life easier. Download the library ,unzip it. 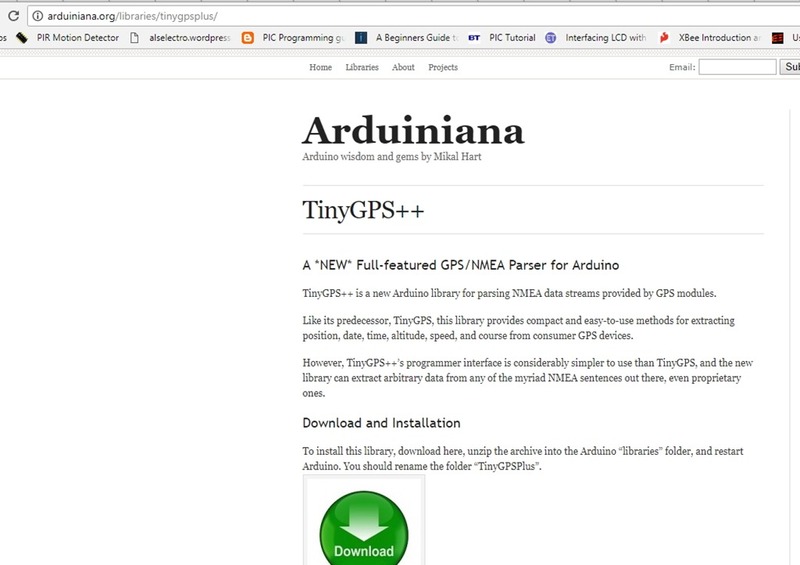 Rename it to TinyGPSPlus & copy paste to Arduino –> Libraries. Now upload the code & open the Serial monitor on baud 115200. This is because of BAUD RATE mismatch. 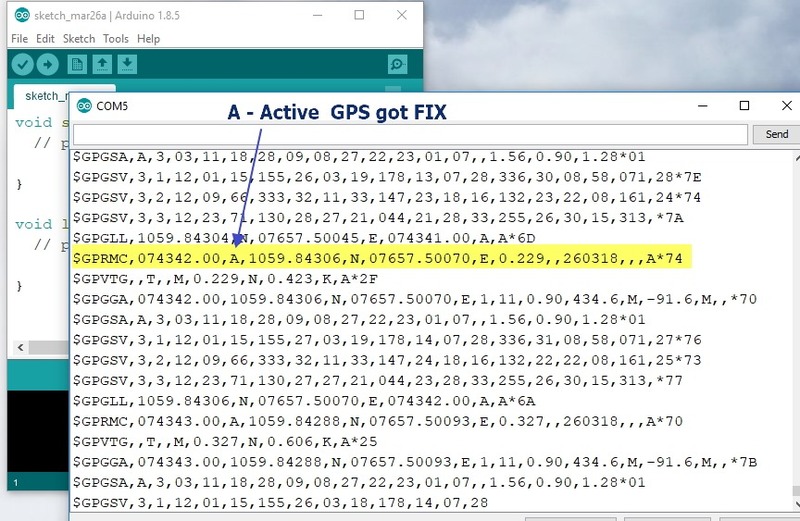 Change the GPS Baud (not the serial baud) to 9600 & then upload. Now you get data which is displayed neatly on serial monitor. 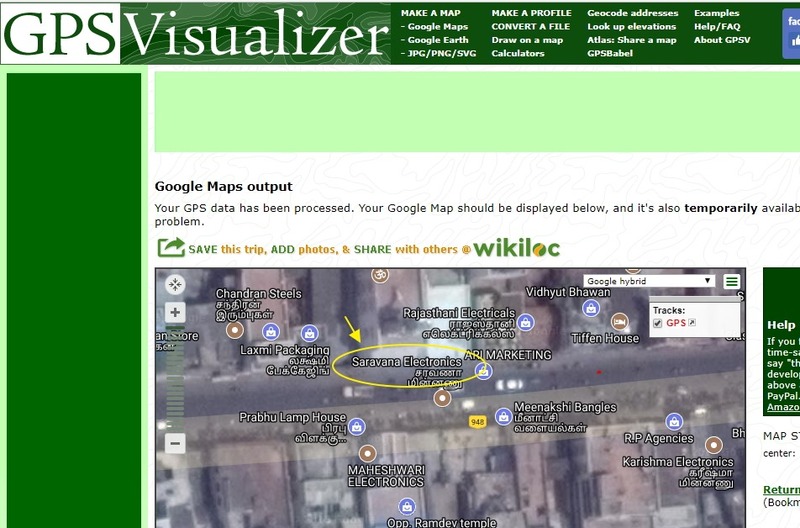 In the next example we shall parse the GPS data & send SMS as google maps link using a GSM. 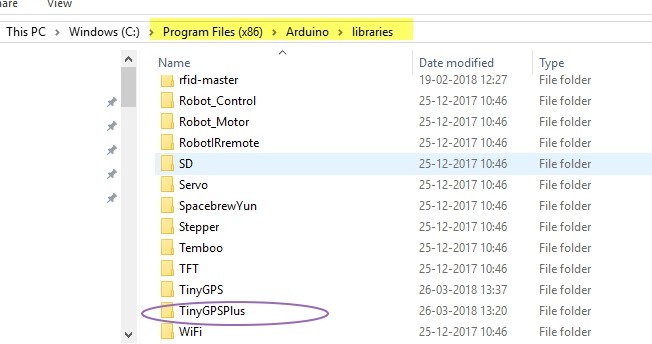 For this we use the previous version of library TINYGPS . Download the library & install it. Here we use SIM900 GSM .A separate power source of 12v 1amp is required for GSM. 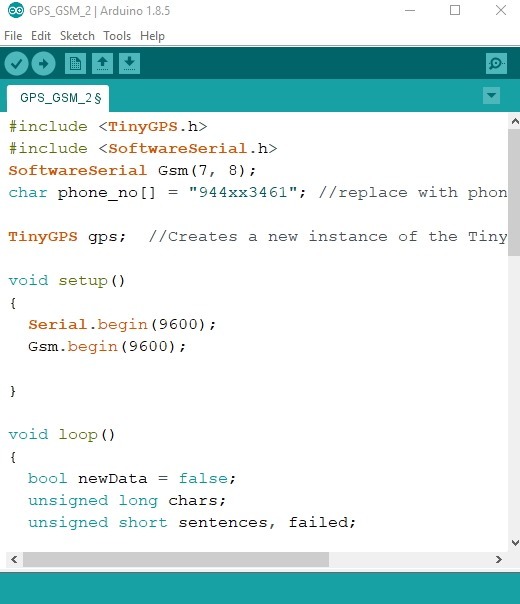 5v of Arduino to 5v of GPS. 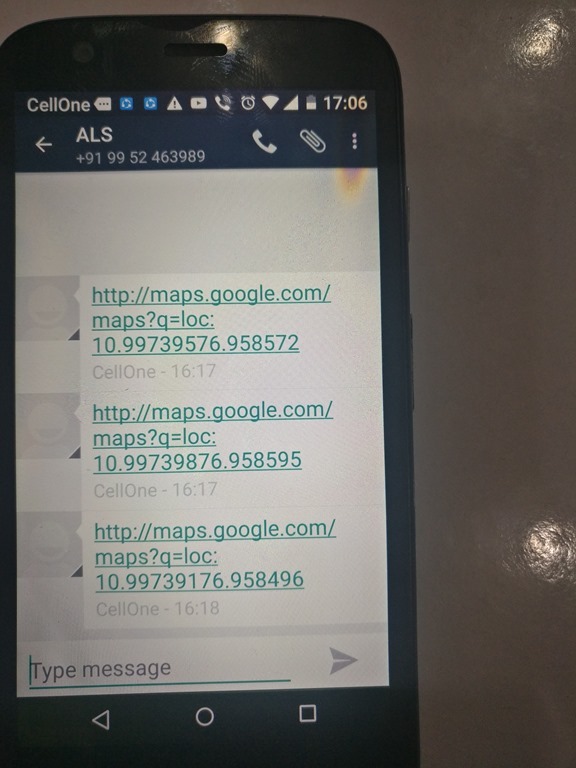 The data parsed is then appended to google maps link&sent as SMS . Every 20 seconds an SMS is sent.You can modify the code so that you get SMS only when you call to the GSM. Upload the code & get the SMS on themobile no. you provided in the code. Touch on the SMS link to see the location of GPS. how to modify the code so that it send message only when called. 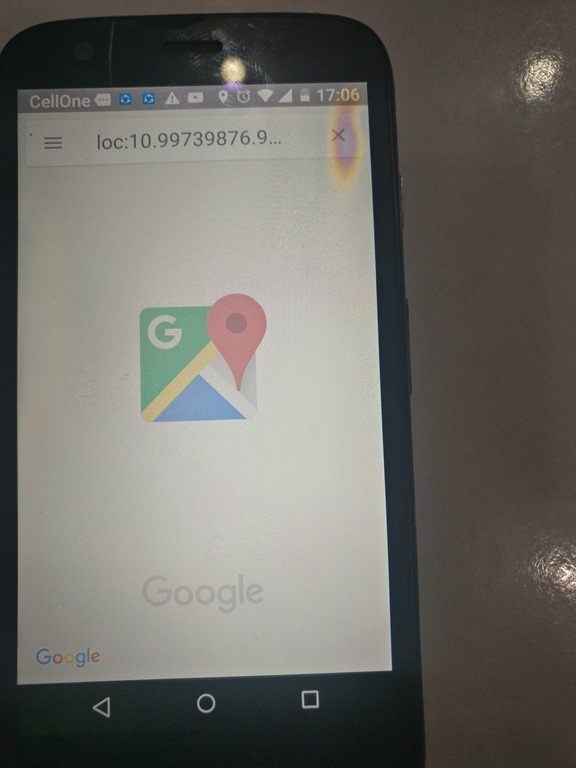 the link now which is set to phone is not showing any place in map saying place not found. Please provide to code for whic it only sends sms when we call the number and also the option to send text on multiple numbers.